All classes taught by Tracy Von Kaenel unless otherwise noted. To see our class schedule and register for classes click HERE. An intro level class designed for the student with little to no experience. Students will be introduced to the Asanas (poses), Pranayama(breath work), and basic Yoga philosophy to set the foundation for a strong practice. Everyone welcome. A more physically challenging practice for the student who has had a regular yoga practice for some time. At least 2 years of practice is recommended before taking this class. The most physically challenging practice on the schedule. The pace of the class is fast, and the poses more complex. Designed for those with at least 4 years of regular practice. A class designed to be appropriate for beginners and intermediate students alike. Each student will be challenged and supported within their own level. Open to all. 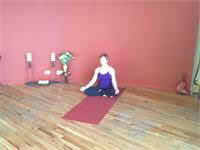 A soothing style of Yoga designed to bring deep relaxation and stress release. A combination of classic, supported restorative poses and deep Yin style stretches. Open to all levels. An Aerial Yoga class open to all levels from newbie to advanced. Class includes strengthening and stretching postures done inside and outside of the sling , as well as plenty of time to hang upside down. Each student will be challenged at their appropriate level. Everyone welcome! A highly recommended addition to ANY yoga program from beginner to advanced students. Learn to still the mind from the racing thoughts, bring deeper awareness into your everyday activities, and be more content. Open and Recommended for all. A popular therapeutic body treatment of passive yoga stretching, acupressure, a little Reiki, a little traditional massage, a little chakra balancing, and a whole lot of tension release. 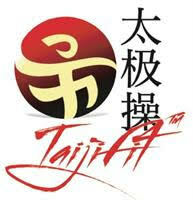 It’s similar to Thai Yoga Massage, but with a focus on your personal needs. Sessions are done fully clothed, on a comfy futon, and they last about an hour. You will leave feeling soothed, refreshed and relaxed. Duet Private Yoga $50 per person/hr. 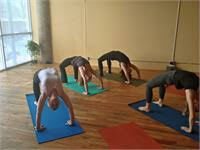 Three or More Person Private Yoga $37 per person/hr. All classes are ongoing, start anytime. 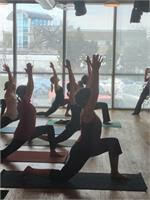 Yoga classes limited to 20 people, Aerial Yoga classes limited to 8 people. Sign up online to reserve your space. Please note the time limit on the packages. Please bring your own yoga mat. If you don’t have one, you can borrow one until you do. You can pay for classes online with a credit card or in person with cash or check. I look forward to seeing you at Yoga Experience!